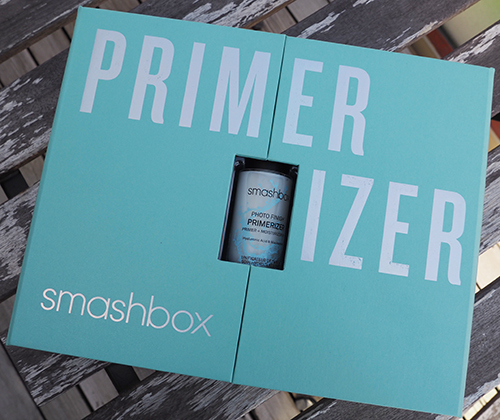 Last month, I had the great fortune of attending a fun yacht party (#dropitlikeitsyacht) hosted by Smashbox in celebration of its new Photo Finish Primerizer and was gifted one to take home and try for myself. 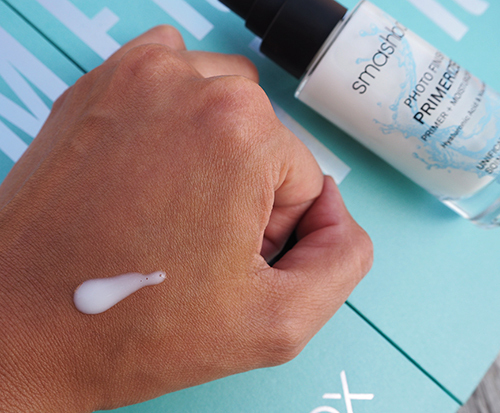 Harkening back to to the true early days of this blog with these posts from 2010, 2012, and 2013, you'll see that I've been a longtime user of the iconic Smashbox Photo Finish Primer. I love the way it smoothes pores and creates an overall flawless base for any foundation. The new Primerizer adds something different to the Photo Finish line. While I personally love a matte look, many people really love having dewy/glowy skin since it tends to look more youthful and fresh. This product is made with Hyaluronic Acid and Niacinamide and injects your skin with intense hydration to prep your skin for foundation. And, of course, you can skip moisturizer since this is a primer + moisturizer in one! 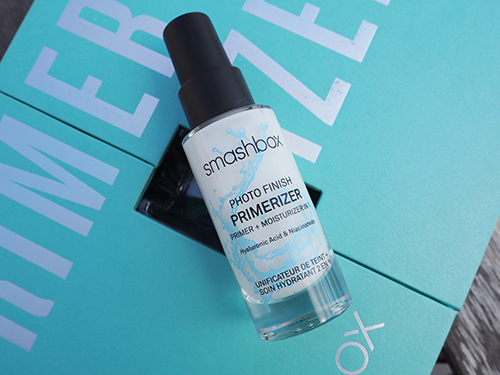 At $42 CAD for 30 mL bottle, Primerizer does seem a bit pricey but you only need 1-2 pumps for full coverage and a little does go a long way. The product has a milky, slightly tacky texture but once you rub it into the skin, it's dries fairly quickly and isn't sticky to touch. My skin feels very plump and hydrated afterwards, and is perfectly prepped for locking in my makeup. With colder weather coming up, I would definitely recommend this for your seasonal product switch-up, especially if your skin is on the dry side.